The Schultz Investment Company is a private family investment office. For more than 40 years, the Schultz Investment Company has provided equity capital for the start-up and growth of a variety of Illinois based firms. 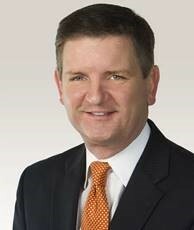 Bob Schultz serves as Managing Partner of the J.M. Schultz Investment, L.L.C.. Since 1996, he also has served as Chairman of the Board of AKRA Builders Inc., a multi-state construction, design-build and project management firm headquartered in Teutopolis, Illinois. He has served on the board of Midland States Bank (NASDAQ: MSBI) since 2004. Bob serves on a variety of non-profit boards, including: Catholic Charities Corporate Board (Springfield, IL Diocese), HSHS St. Anthony’s Memorial Hospital, The Cross Foundation, Midland Institute for Entrepreneurship, Construction Trades Educational Curriculum and the Effingham Regional Incubator Network. Mr. Schultz received his B.S. in Finance from the University of Illinois and a J.D. from the University of Notre Dame Law School. He and his wife, Audra, are the parents of two children.